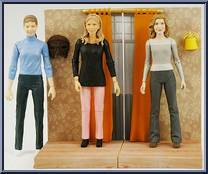 Contains exclusive season 5 figures of Buffy, her Mom & Dawn. Contribute pictures, update details or suggest corrections for Family Album (Time and Space). Write a review about Family Album (Time and Space).